Our school, Christa McAuliffe Elementary, is located in the southern portion of the United States. We are in Denton County, which is in northern Texas. Our town is Highland Village, which is north of Dallas. There are approximately 500 students in our school. Our principal is Mrs. Jennifer Mattingly and our assistant principal is Mrs. Whitney Parlin. Ms. Linda Thiebaud is our librarian. Christa McAuliffe Elementary School was named for Sharon Christa Corrigan McAuliffe. She was a wife, mother of two children and a dedicated high school social studies teacher in Concord, New Hampshire. NASA announced in July, 1985, that McAuliffe had been chosen from among more than 11,000 applicants for its "Teacher in Space Program." The tragic explosion of the Space Shuttle Challenger on January 28, 1986, took the lives of McAuliffe and six other crew members. Christa McAuliffe is a reminder to everyone of what classroom experiences are or should be. It is for her and the teaching profession that the Lewisville ISD Board of Trustees named this elementary school. We are fourth and fifth graders at McAuliffe. Once upon a time, in a land where cacti grew taller than the tallest cowboys, there lived a young elf owl named Minnie. Minnie had always enjoyed her life in the desert, but she was always bothered by her neighbour, a rattlesnake named Mason. Mason was sly and clever and the whole village knew it, so Minnie tried to ignore it. Sometimes, it got a little hard. "Yes, Mason?" Minnie replied in her calmest voice possible. "May I come into your lovely home?" Mason sneered. Minnie frantically searched her brain for a reply. She knew bad things would happen if she let him in. "I, uh, my house is, um, a mess! Yeah," Minnie blurted out quickly. Mason frowned and slithered away. "I want her house so bad! So roomy and cosy...." Mason thought. "If only I could get her out of her house. Then I could slither in and it would be mine!" Mason smirked. "THAT'S not a bad idea......"
Mason slithered out of his house and crouched at the foot of Minnie's cactus. "Now, to lure her out." He thought and thought. "I know! If I make owl calls, maybe she'll come out, thinking it's another owl!" Mason prepared himself, then as loud as he could manage, screeched an owl call. Minnie peeked her head out. Not seeing an owl, Minnie pulled her head back in. Mason was disappointed as he trudged back to his cactus. "What can I do now?" He though aloud. He paced the floor, thinking, "What if I trade her something for her home?" "I have an offer for you. I'll trade you my lovely home for yours." Mason said slowly. "I'm sorry; Mason, but I love my home. “I won't trade it for yours." Minnie answered. Mason sulked away. Once again, Mason searched for something to do. Suddenly, he hears a booming "Yeehaw!" and loud galloping from outside. He ran to the door and peered outside. What he saw surprised him. It was a cowboy! All of a sudden, an idea popped into Mason's clever brain. He scurried outside and out to the feet of the horse. He hissed loudly, sending the horse bucking in fright. The cowboy tumbled off as the horse galloped as fast its long legs could go: STRAIGHT at Minnie! Mason cackled in delight as the horse got closer and closer to Minnie. Suddenly, the horse skidded to a stop, dust whirling everywhere around him. Mason quickly thought up another plan. "If I can't have it, no one can! Mason sneered. He loudly hissed at the horse again, sending it rocketing straight at the cactus! Minnie watched in horror as the horse rammed into her home. Pieces of the cactus exploded onto the desert floor. A little cactus flower floated down beside Minnie. "Oh," She wept. "My home and all my things are GONE!" She sulked off, in search of a new place to live. Minnie roamed her new home, satisfied with the new decorations she had just put up. Her new home was a large hole in an old oak tree. It had everything she could ever want: a river, a garden, many trees, and a beautiful lookout over the valley. She never forgot how Mason destroyed her old home, of course, but Minnie lived a wonderful rattlesnake-free life. She was extremely happy. A new visitor, Mockingbird, came one day to the town that rested in the hottest part of the desert. He flew to Longhorn's house and nested inside the nearest cactus. Longhorn came outside to see how his cacti were doing. He looked at the one that Mockingbird was in and said, "This one looks pure and ripe." Mockingbird heard him and didn't want his new home to be gone. Longhorn was about to cut it down, when he heard the cactus say (It was Mockingbird, hidden), "Why are you going to cut me down when I have feelings, too?" "Was that you, Cactus?" asked Longhorn. "Well, sure it is, and why do you want to cut me down when you haven't even gotten to know me?” replied Mockingbird, aka the Cactus. Longhorn was frightened and ran inside his house. He had to spread news of the talking cactus, so he went to Armadillo's house and told him everything. "I don't believe you," said Armadillo. "Well, why don't you come see for yourself," said Longhorn. Armadillo decided to come. When they reached Longhorn's house, the cactus was gone. "Where is it?" asked Armadillo. "I don't know. It was here a minute ago." said Longhorn. "This was a waste of time." said Armadillo. Longhorn was shocked until he heard something. "Who is that? Asked Longhorn. "It is me, the talking tree!" Longhorn ran away yelling, "The tree is talking!" "What a goof!" exclaimed Mockingbird as he wiped away his grin and flew away. On a strange afternoon, lizard was looking for something to eat. Lizard is a selfish, rude pest that nobody likes at all. His number one fear is leader cow. Whenever he hears Leader Cow's name, he shivers and cries that he might get squashed! Lizard said, "Oh, I'm starving! Hey, I wonder what horse has in his garden. I hope he has red hot chili peppers! So spicy and juicy! Mmmmmmmmmmmmmmm! Horse, not noticing Lizard, said, "I can't wait to water and pick my pepper garden today! Do you know I have tons of peppers?" "Yesssssssssssss! He does have a lot of red hot chili peppers! I can't wait to sink my big fat lips into a fat, juicy pepper! Oh, no, I can't let Horse see me eating his peppers! I'll hide until he leaves. Yep, that will work!" All that waiting made lizard hungry. So, at sun down lizard finally got inside Horses’ garden. "Ahhhh, this is so good that I will hear some more tomorrow! What! I can't get out! Awww, I guess I will have to wait until I lose some weight!" Next day, Lizard whined, "Ohhhh, my stomach hurts so much. Awwwww! Ahhhhhh!" "What is that noise?" asked Horse. Lizard replied, "Uhhhhhhhhhh........Me, the grand talking pepper! I will rule out if I am not known to your people!" "Oh, oh, oh! I have to show Leader Cow. He will know what to do!" exclaimed Horse. Lizard said, "No, no, no, don't even think about showing me to Leader Cow! He will squish me if he gets close to me!" "Of course I won't because you are a very rare species! And besides, why would he want to squish a rare pepper like you?" Horse asked. "I'm not a pepper, I'm a liz............I mean, yes, take me to your leader!" said Lizard. Horse replied, "Okay, whatever you say, amazing talking pepper!" Along the road, Horse and Lizard ran into Armadillo, the kind and fierce one. Horse said, "Hey, Armadillo! What's going on here?" "Nothing........Hey, why do you have a pepper?" asked Armadillo. "Oh, I'm giving this to Leader Cow. He will for sure give me a reward for finding this!" exclaimed Horse. Armadillo asked, "Why, he has thousands of peppers at his ranch?" "NOT a talking PEPPER! This one is so special that it likes me!" Horse exclaimed. Armadillo, who was not so sure, said, "Oh, really? Talk pepper, talk! See..........nothing." Lizard spoke out, "Have you ever heard of a smart Armadillo?" "Who said that? Was it you, Horse? I know that that pepper didn't say anything to me!" Armadillo exclaimed. Horse replied, "Sure it did. Like I said, it's a magic pepper." "Okay! I want to see what Leader Cow has to say about that!" Armadillo responded. A couple of hours later, Armadillo, Horse, and the magic Pepper, AKA Lizard, were on their way to Leader Cow's ranch. That is when they ran into Coyote. Coyote asked, "Hi, Fellas! What do you have there? Whatever it is, is it for me?" Horse and Armadillo said together, "No, it is for Leader Cow only! AND, it's a talking Pepper!" Coyote replied, "Okay, okay, okay, so it's really a talking Pepper?" Horse said, "Yes, I will make it talk. Talk, Pepper, talk." Coyote said, "I guess it doesn't talk after all." Pepper spoke out, "Have you ever heard of a cute Coyote?" Coyote exclaimed, "Who said that? Was it you, Horse, or you, Armadillo?" Horse responded, "No, it was the Pepper, like I said!" "Okay, I'm coming with y'all." Coyote replied. After arriving at Leader Cow's ranch in the mountains, Horse told him, "Leader Cow, look, I have a talking Pepper!" Leader Cow, unbelieving, asked, "Really, well doesn’t keep me waiting! Make it talk!" Horse answered, "Yes, sir! Talk, Pepper, Talk! Now!" Horse cried, "Oh, I don't know what is happening!" "Well, you have certainly waisted my time!" said Leader Cow. Pepper piped up, "You call yourself King? You are a disgrace to the West!" Leader Cow said, "No one will talk to me like that!" With that, he threw the magic pepper back to horse's house into a bunch of bananas. Lizard said, "Wow! I am hungry again. I will eat a banana." Horse replied, "Okay, do not talk to me!" Banana (AKA Lizard) said, "Oh, we should have told you about those peppers......"
One day, Road Runner was running when he saw Coyote. Road Runner was bored and wanted to have some fun; so Road Runner ran circles around Coyote. Coyote got mad and told Road Runner to stop. Road Runner just laughed and said, "Catch me if you can!" Road Runner took off running and Coyote chased him. They ran all over the desert. Road Runner jumped into Armadillo's hole. He said, "Can you go find Coyote for me? I need you to spray this at him when you see him." Road Runner handed Armadillo some pepper spray. "You have a hard shell and Coyote can't hurt you." Road Runner tole Armadillo to get it to Coyote fast! When Armadillo left, Road Runner closed the door and locked it. He found some bread and birdseed in the pantry. He then put the food in his bag and ran out of Armadillo’s house. When he got outside he saw both Coyote and Armadillo running his way. Road Runner was getting tired, so he found a huge tree and started pecking at it. The tree was hollow so Road Runner just pecked right through the wood. He heard Coyote and Armadillo coming so he grabbed some sticks and made stairs inside the tree. Road Runner forgot to close the hole, so when coyote and Armadillo came by they got suspicious. Road Runner heard them coming, so he quickly made a little platform. Armadillo was tired, so he asked Coyote if he could rest in the tree. Coyote was tired so he asked if he could join Armadillo. Armadillo said he could. Road Runner was hot, thirsty, and hungry. When Coyote and Armadillo got inside the tree, Road Runner had an idea. He said in a low voice, "Puny animals bring me some water and I will spare your life." Armadillo and Coyote got scared and said, "Who are you?" Road Runner replied, "Why, I am King of the Trees, and I demand some water!" Coyote and Armadillo got even more scared, so they went to get the talking tree some water. On the way, they ran into Wild Wolf. They told Wild Wolf the King of the Trees sent them to get some water. Wild Wolf didn't believe them, so he came along. When they got back, Wild Wolf said, "See, this ain't a king! It's just a dumb ole' tree!" Road Runner then said, "I am the King of the Trees and if you think you're so smart, why don't you bring me your king, hmmmmmmmmmmmm?" Wild Wolf was dumbstruck. He then left to get Cobra the King. He told Cobra, "King, there is a talking tree and he wants to see you." King Cobra agreed to come along. When he got there, he asked the tree if it could talk. No reply. He asked again, but again there was no reply. King Cobra got mad and said, "You fools! You disturbed me for nothing! This is your first warning; next time I'll make you sit on a cactus!" He left and the animals started screaming at the tree. Then Road Runner jumped behind a cactus and said, "We cactuses have been trying to tell you, trees need lots of water to stay alive! Their King wasn't smart enough to tell you he was drying up!" Once there was a young Mockingbird and a young White Tailed Deer fawn. One simply DIVINE summer's morning in the woods of North East Texas, young Mockingbird was hungry for a tasty mid-morning snack. Soon, she came upon White Tailed Deer's berry patch. She thought to herself, "I think I'll steal a tiny snack from White Tailed Deer's little berry patch. I'm sure she won't mind at all...."
So, when young little White Tailed Deer went inside to make herself a delicious berry pie, Mockingbird didn't even struggle to fly down and DIG IN! About three hours later, White Tailed Deer came back and before the Deer could see her, Mockingbird (quite quickly) flew up, up, up into the highest tree she could find so that White Tailed Deer wouldn't find her. When White Tailed Deer saw her berry patch she said in shock, "My, my, who would've done such a thing?" White Tailed Deer said, "I'm going to stay outside until the sneaky little criminal shows itself. Yes, yes, that's what I'll do!" So, White Tailed Deer did just that. She waited and waited, but no one ever showed up! Mockingbird waited and waited but the Deer never left. Since then, White Tailed Deer never ever left her garden again and the young Mockingbird learned her lesson and never ever tricked anyone again! and a dedicated high school social studies teacher in Concord, New Hampshire. Lewisville ISD Board of Trustees named this elementary school. Lewi L. - There are many lakefront homes and homes with a lake view here surrounding Lewisville Lake. Extremo - Highland Village has had over 70 days of extreme weather of over 100 degrees Farenheit. Tekki - (Technology) The use of technology is a priority in Lewisville Independent School District. It supports the use of technology for research, creating, and collobarating. The goal is to have access of technology on a daily basis through a variety of equipment and software. Sporti - Our students participate in a variety of sports here including Baseball, Basketball, Cross Country, Football, Golf, Soccer, Softball, Swimming, Tennis, Track and Field, Volleyball, and Wrestling. Shoppy - Highland Village is the ultimate shopping destination! The plethora of shops include retail (clothing), restaurants, sporting, printing, photography, hair salons, florists and many more types. Woodsy - Highland Village has extensive trees with trails designed for walking, jogging, and bicycling. The trails go through neighborhoods and parks. T.T. Patriot (True Blue Patriot) - Lewisville Independent School District has several Blue Ribbon Schools, and McAuliffe is one of them! The Blue Ribbon Program is a United States government program that was created in 1981 to honor schools. It is the highest honor an American school can achieve. Highland Village also has an annual red, white, and blue festival on the Fourth of July Celebration. I do awesome at school, too. A new wolf was born. She was a little brown wolf. They make you feel good inside. Brings fun to all minds. Their men's team is beast. The lake gets dark and quiet. I have been stung by a wasp. by BW Reading is Great! The ball will be caught. My dog’s name is Oliver. They have good places to eat. Books I read are very long. We have a shopping center. We have a small lake. Highlanders, we are the best! Bases fully loaded - Bam!!! Grand slam hit with pace! The crowd cheering once again. Running up the field so fast! They are really fun and cute. They like to play, too. You get to make crafts! We see loads of wood and rocks. Kids play and have fun! Pollen is in the air today. My favorite sport is fun. Baseball’s the best sport ever! It is fun and it is hard! The flowers fly in the wind. Beating down along the lake. We have a lot of flowers. A new fox was born. She loved to play and tumble. She stays by her mom. I can have much fun! I calypso, turn, then leap! It hovers above the ground. It rolls in the net. I love this town; it’s jolly! It is a nice town. I love to read chapter books! Who know what will come? Design a special personal logo with the colours of your world to attract Email Gigglecritter through your window. Who loved playing in the creepy weeping willow. Had to sleep on his very tough and rough pillow! He went to the store and purchased some jello. 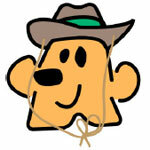 Then the rough cowboy turned a very bright yellow! There was a cowboy, and he decided to stay. When he saw that snake. But all that snake did was ask for directions to May. Where a cowboy in the Big Bend just wanted to go. But in the end all that was left was a mango. Whose mustache was as wispy as a willow. His ‘stache made a good home for an armadillo! There was a small girl named Alice. And ended up in east Texas’ Pales(stine)! There once was an armadillo that had a pillow. The armadillo lived in a humungous willow. And took a big bow. When he walked to see the sea, he saw a billow! There once was a man who went to space. He could never dream of such a place! And then to the stars. He never wanted to leave such a wondrous place! Those are our rocking and home run hitting Texas Rangers. They’re playing a game with so many, many dangers. And the trips in Austin are an adventure! The lakes create a breeze. If we would only keep up with the weather! There once was a armadillo from Dallas. He loved to look up cities in an atlas. But tried to look in the atlas for Dallas. There once was a man with a doll and a fat cow. That doll and his fat cow really knew how to bow. But then the doll and the cow forgot how to bow! There once was a man born in the Alamo. He now lives in a place called Amarillo. And got an adventurous cat called Squanto. There once was a man from Highland Village. So he rode is horse home named Fillage. (While he was eating some buttery popcorn). And saw a big bear. What a sight, when the bear was seen blowing his French horn! Until they started tripping over their shoelaces. Unless they make a stretch! There once was a tall man whose name was Big Tex. To his brown boots on. He towered over the citizens of the large state Tex. Texas is a great state to run wild and free! This is my absolute favorite place to be! There are great things in Texas for y’all to see! Once upon a time there was a Bluebonnet flower. It sat there all day waiting for a rain shower. The Texas State Flower jumped up with a lot of power! Leprechauns at the end of the rainbow. United Kingdom has lots of Leprechauns! Clovers with four green leaves. Key of luck is shared with Texas. Leprechaun: A very lucky little man that brings good luck and stands at the end of a rainbow, usually beside a pot of gold. Clover: A four leaved clover is a plant that is hard to find and is rumored to bring good luck to whoever finds it. Texas: The second biggest state in the United States; just smaller than Alaska! It is located in the southern part and measures 267,339 square miles. Kingsville is lucky in oil wells. Oil wells are places where you can drill for oil. Leprechauns wear cowboy boots and carry a pot o' gold. Upside down pennies are considered good luck. Clovers with 4 leaves and rabbits feet bring you good luck. Kids and adults are careful not to spill their salt shaker when eating their steak. Y’all better say "HOWDY!" if you see a leprechaun wearing cowboy boots! Cowboy Boots: Common footwear made of tough leather for western folk known as Cowboys. Pot o' Gold: A pot filled with golden coins which a leprechaun has at the end of a rainbow. Clover: a 4 leafed luck symbol common on Saint Patrick's Day, a luck and green filled holiday. Salt shaker: It is considered bad luck when knocked over unless you throw some over your shoulder. Y'all: A Texas slang word that means "you all"
Howdy: A western way of saying hi or hello. We are the Lone Star State! You might be accused of a robbery. If you see a cowboy shouting, "Howdy, Y'all! You better get your hat, and start jumpin' like a bouncy ball! You'll probably lose your tickets to the rodeo. You will soon be spoiled. And if you taste it you will fly! Lone Star State: The Texas flag has one star on it. Success of victory we have! One afternoon there was a McAuliffe Elementary pep rally. The Principal, Mrs. Mattingly, walked up on stage. Mrs. Mattingly started talking about the BIG high school football game. Football players are running through the door. Cheerleaders cheering, shaking their pom-poms. The Marcus football players are so lucky they have such good players to win the game. Sadly, the pep rally was over, but all the students had a smile on their face as they walked out the door. McAuliffe Elementary: An elementary school named after Christa McAuliffe, a teacher who was an astronaut. Football game: A sport that includes a leather ball and a field with numbers on it. Marcus High School: A high school near Dallas, Texas that has a Marauder as their mascot. Luckily, Santa and Mrs. Claus were baking cookies. Unluckily, they had no flour. Luckily, they were able to borrow magic dust from the elves. Unluckily, when they put the cookie in the oven, it jumped out as Gingerdillo! He told Santa and Mrs. Claus, "Run, run, run as fast as you can! You can't catch me, I'm Gingerdillo!" Luckily, the workshop was close by so he could hide. Unluckily, Gingerdillo was grabbed by a hungry elf with snow-covered hands. Luckily, Gingerdillo slipped through his hands. "Run, run, run as fast as you can! I ran away from Santa and Mrs. Claus and I can run away from you, too. You can't catch me, I'm Gingerdillo!" Unluckily, Santa and Mrs. Claus were chasing him. "Come back! Come back, Gingerdillo!" Luckily, the magic dust allowed him to fly. He chanted, “Run, run, run as fast as you can! I ran away from an elf and I can run away from you, too. You can't catch me, I'm Gingerdillo!" Unluckily, Santa and Mrs. Claus hopped on Rudolph and were in hot pursuit. Luckily, Gingerdillo dropped into Santa's sleigh. Unluckily, Gingerdillo fell into Santa’s bag. Luckily, it was time for Santa to begin his journey around the world. Unluckily, over Texas, the ride became bumpy from a Texas twister. Luckily, Gingerdillo fell out of the bag he had hidden in. Unluckily, Gingerdillo went spiraling straight to the ground! Luckily, Santa was watching out and sprinkled his own magic dust. When Gingerdillo landed in Amarillo, he was a live armadillo! And luckily, there were other armadillos there who accepted him as one of their own. Luckily, Santa called out as he sped off, “Merry Christmas to all and to all, a good night!" The German Shepherd Sally buried some bones, the bones were bitter, so she buried more bones to make the bitter bones better but the bitter bones were still bitter. Sassy* slipped on silvery sterling* earrings. Sassy stitched* silvery stitches in the silk sweater. Sassy slipped on silver shining slippery ice. She soared* through the air and slipped a second time. The stitches slipped out of the silvery sparkling sweater. Sam soared to Sassy on the slippery speckled* ice. Sam spun* around swinging her scarf. Sam gave Sassy sweet* sour candy. soared: to fly very high in the air. speckle: a small spot, mark or discoloration. spin: to rotate or whirl around. sweet: Food that is sweet has a taste like that of sugar or honey. Tate the tall turtle took Tim the tall turtle up the tall tower. Tate the tall turtle then took Tim the tall turtle to his tall shop. Tim the tall turtle told Tate the tall turtle to take the tall tank to live in. Tim the tall turtle told Tate the tall turtle thank you. So Tim the tall turtle took the tall tank and went to bed. Turtles: You can find turtles in backyards, on ranches, and along roadways in Texas. Maybe in the desert. To find them in the desert it kind of depends on the type. In this tongue twister Tim and Tate are both box Turtles. This dog got his name from Choco. I think he is a doll. Choco: I wanted to name my dog chocolate, and my brother wanted to name him taco, soooooo……. Pepp: Short for Pepper, my other dog’s name. Bleachers: Something that we sit on during sport games. Doll: A toy, or a name we call a perfect thing or person. Rattle shakes when it moves. Touch -- don’t think about it!! Nostrils are excellent -- NO PERFUME!!!!!! Age -- just count its rattles. Kick it -- NO WAY!!!!!! Eye sight is excellent -- HIDE!!!!! Strikes out -- watch out! Rattlesnake: A snake that is poisonous and has a rattle. Coyote – It’s a large wild dog, is orangish brown, and lives in North and South America (and Texas). Omnivore - An omnivore is an animal that eats meat and plants. Prowl - It is when something is moving or is hunting. Gallop across the desert arena. The longhorn is the Texas state mammal. The longhorn is almost exactly like a bull. They are all around in Texas. Longhorns are in rodeos we have in Texas. Longhorns are as well-known as Texas. Texas is known as BIG and longhorns are BIG! A kangaroo rat - what even is that? Does it jump really high or does it touch the sky? Maybe it kick its big legs like a real kangaroo. Will it jump at your face or will it run away? NO!!! I know it is probably a normal kangaroo. but I’ve never seen or heard of one. I mean, it’s a kangaroo rat - what even is that?!?! Kangaroo Rat: A rodent that does not drink water and is spotted mostly at night. Found in the Trans-Pecos area in Texas. Turtles* twirl twizzlers* at twilight. Turtles love their twizzlers, am I right? then do they love their scissors*? Turtles twirl twizzlers at twilight. Foxes* wear rock filled socks. then do they like them in a clutch*? Foxes wear rock filled socks. Bunnies* slowly chew fruit gummies*. If you saw it, you’d say it’s funny. Bunnies slowly chew fruit gummies. Turtle - A shelled reptile. Scissors - Metal object used for cutting things. Fox - a catlike creature with red fur and a bushy tail. Bunny - a small mammal with a little tail and long ears. Gummies - also known as fruit snacks. Small, bite-sized chewable snacks. I step outside of the house to see what it is. To see a brown nut soaring towards my head and it barely missed! I searched on the ground for the nut that almost hit me. As I was looking, another nut fell from the tree and landed on my back. I twirled around to see that acorns were falling from the trees. This was strange because there were barely any acorns on the ground. I finally spotted an acorn. As I went to pick it up, a small brown creature tore past me and stole the acorn. I couldn’t go inside now, I had to figure out what that creature was! I looked up to see a squirrel giggling and laughing at me. I picked up a stick and threw it at him. Unlike the stick, the acorn hit me square in the face. Next time, I won’t mess with a squirrel*! Love looking at all of the unique food! Valentine’s Day—A celebration observed on February 14. Many people exchange flowers or cards or candy. Fries are the best state fair food that I have ever had. Red ketchup goes great with fries. I love them for their crispiness and flavor. Icy and cool on a blazing hot summer day. Every flavor melts in your mouth. Ready to make y'all feel refreshed. Mouths will smile when they test this ice cream. Funnel cakes are the best. Ice cream is going to be your favorite! The iced tea is lovely. Amazing hot dogs all around! Turkey legs that will make your stomach full. and hope you vote on it! Chili Cook-off—A festival where the teachers cook chili and the kids vote for the one they like best. Fried food is the best! Oh, mer gersh! So good! Really long line to get to it. Everyone who doesn’t like it is not human! S’mores—a traditional nighttime campfire treat popular in the United states consisting of a fire roasted marshmallow and a layer of chocolate sandwiched between two pieces of graham cracker. Use a plate to put the food on. Me and you can enjoy it! The stick is the bone. Crunchy and hard on the outside. Kind words make it more fun to eat! Drumstick—a chicken leg. NOT used to bang on a drum. Cold or hot, I love it. Have fun with family when you eat chili. Luscious is what it is. At the fair there is so much to do! There are also many rides, too. The fair food is the best! It is so good, you’ll have to take a rest. That so many people bake. With a line so long you might miss the hogs. Man, this place will leave you poor! The best thing there is the ice cream. Don’t eat it before a ride that makes you scream. It will literally make you beg. The food is so good you’ll have to wait in line. It will leave you with just a dime. Love, in the form of a spring. You should probably wipe the grease off your hands. Right at the Texas State Fair.